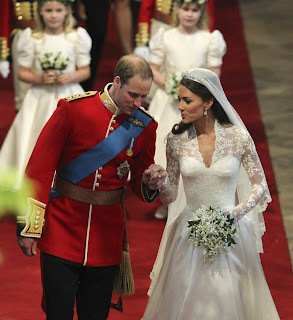 Finally after months and months of preperations and media buzz Prince William and Kate Middleton are married. 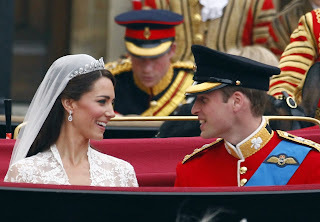 It is estimated that nearly 4 billion people world wide tuned it to watch Prince William marry Kate Middleton on yesterday morning. The two had been planning this big extravagant event for nearly five months. Kate was a commoner from a little town in Buckleberry, England. Will and Kate had known each other for 10 years prior to them tying the knot (8 in which the spent together). There was much speculation of how the wedding would tie into or resemble that of Princess Diana and prince Charles in the 80's. Kate kept everyone on edge as no one knew what wedding gown she had chosen and many of the other details. The Journey to the alter that day started at approximately 5am EST which was about 10am London time. William and his Brother Prince Harry were the first two to arrive in the Royal Family, wearing their Military Ceremony uniforms. As time progress more and more of the Royal Family Arrived. Approx. 10:30am the car carrying Prince Charles and his wife Camilla arrived at the church and was greeted at the Entrance by the officiating minister of the ceremony. 10:45 Queen Elizabeth wearing a stunning Buttercup Yellow suite arrived at the church and was greeted and walked down the isle behind here son Prince Charles. Approx 10:55am then Kate Middleton the commoner from Buckleberry, England walked to her car to make her way to the church still not fully revealing the wedding gown that she had chosen. As she proceeded down the route to the church you could see the nervousness in soon to be Princess Kate Middleton eyes. She arrived at the church at about 11:10am and then the ceremony was on its way. 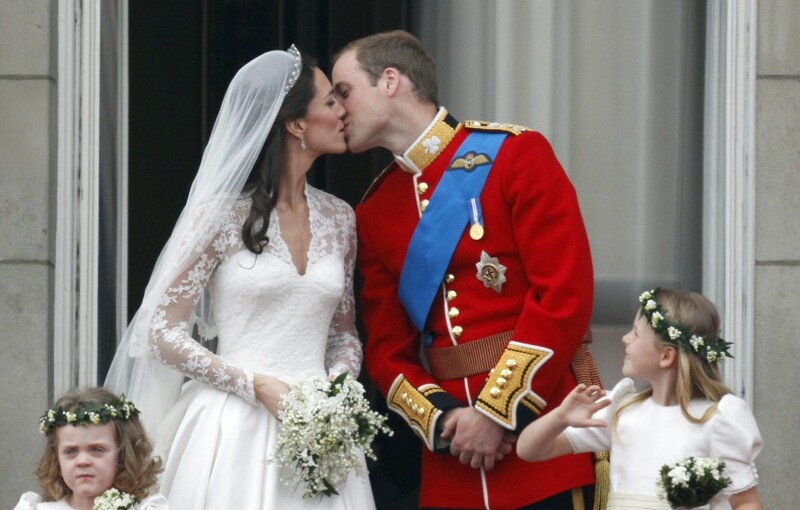 The ceremony lasted about an hour which was then followed by a procession to Buckingham Palace where the Royal Family and The Prince and Princess sealed their love with a kiss amongst billions of followers and supporters.